Tat2U Makeup — U Look: Fabulous for Fall! U Look: Fabulous for Fall! Since we introduced four NEW Lip Crème Extreme shades last week, I wanted to create a look that could help inspire your makeup for this wonderful season!I chose to go with a warmer combination of colors by using browns and rosy pinks. This look is one of my favorite color palettes for fall, and it can easily be modified to match your personality by switching the lip color for a different shade in our Lip Crème Extreme collection. Stay tuned for next week’s U Look as I will be showing you how to use our body art products to create a unique style for any occasion! 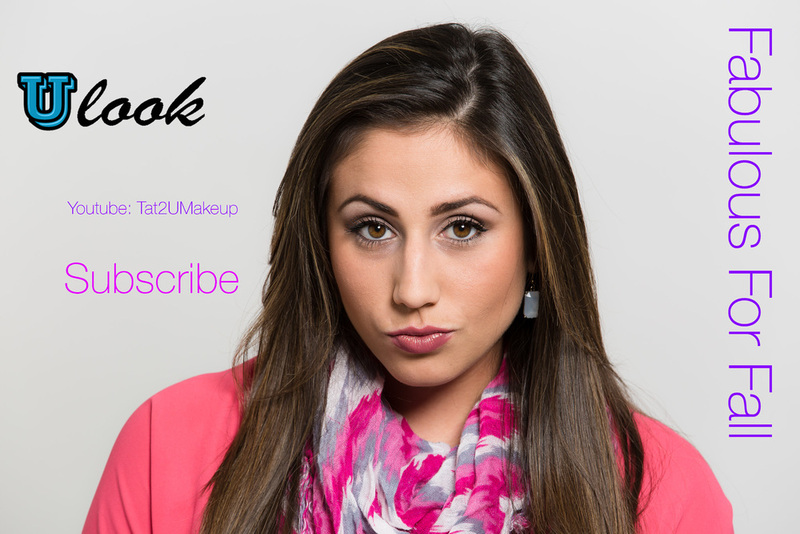 Don’t forget to subscribe to our YouTube channel, Tat2U Makeup. U Look: Ready for Game Day!